On 3/11/15 @ 1340 hrs., Deputies from the Allegany County Sheriff's Office responded to Chesapeake Ave. and McMullen Hwy. in McCoole for a reported motor vehicle accident involving a tractor trailer. 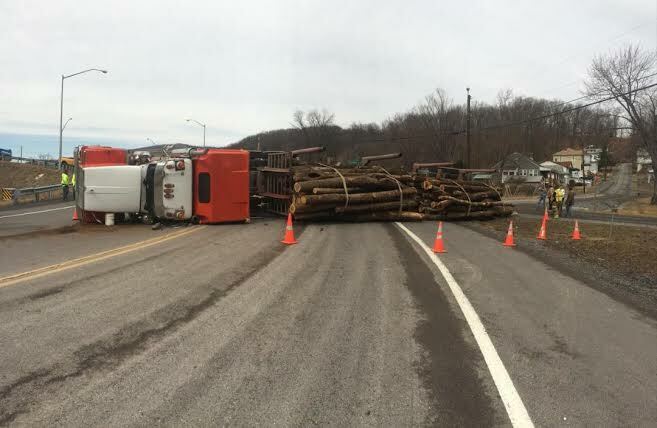 On arrival, Deputies located the tractor trailer, loaded with timber, which was on its' side blocking the roadway. Investigation revealed that the 1995 Western Star tractor owner by Long Horn Trucking out of Warm Springs, VA, was hauling timber to Luke. Also, that while travelling N/B on Rt. 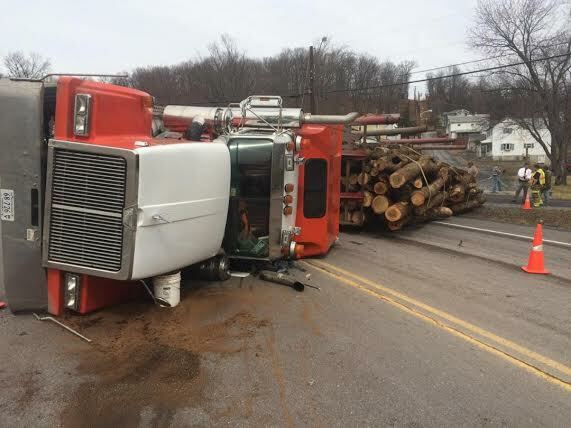 220 from the Keyser area, the operator of the tractor, Mark Cary (36 years old, Hot Springs, VA) attempted to turn onto Chesapeake Ave. however was travelling too fast causing the load to shift which in turn caused tractor trailer to roll landing on its' side. CARY was able to escape from the tractor without injuries and there were no other vehicles involved. Chesapeake Ave. was closed for approx. three (3) hours. 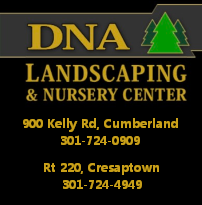 Deputies were assisted at the scene by the Maryland State Police, Natural Resource Police, State Highway Administration, Allegany County Haz – Mat, the Potomac Fire Dept. and the Keyser Fire Dept.